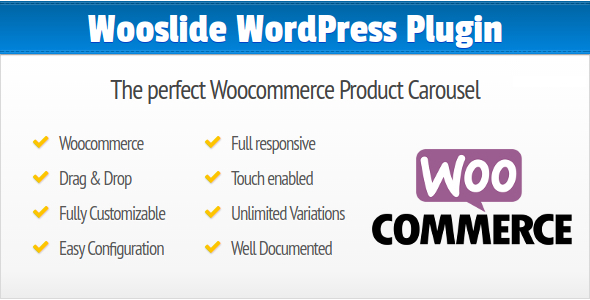 This plugin was specially developed for Woocommerce and its products. All products with content are automatically detected and can be easily used via drag & drop. The carousel slider is fully customizable and one hundred percent responsive. With this plugin you can present your products professionally and elegantly to achieve more sales. Simply place the Wooslide product carousel with a shortcode anywhere in your online shop and attract more attention to your products. With this small investment you will achieve a huge effect in your online shop and make your life easier. You save a lot of time for the presentation of your products and create a product carousel in less than two minutes. And the best part, you can use this plugin without reseller license in your sales themes.